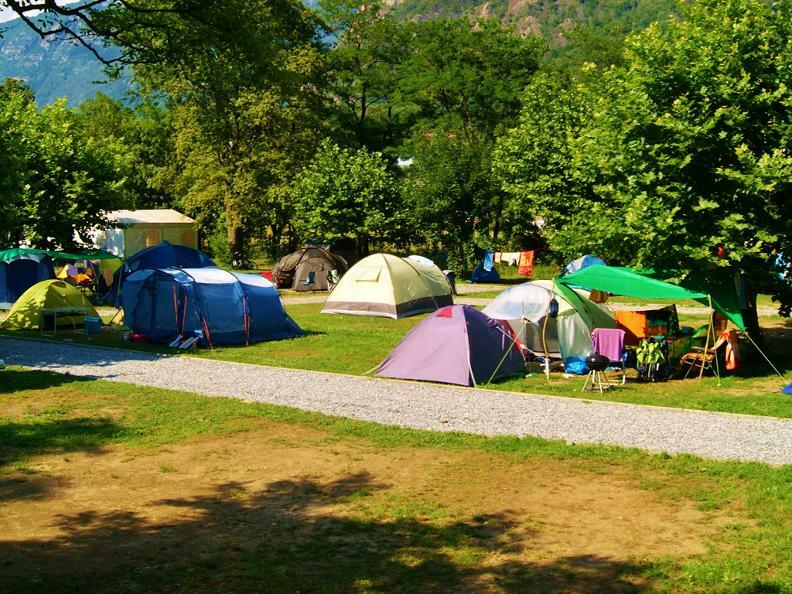 The campsite is located in the nature and in the shadow of the sun in the summer. 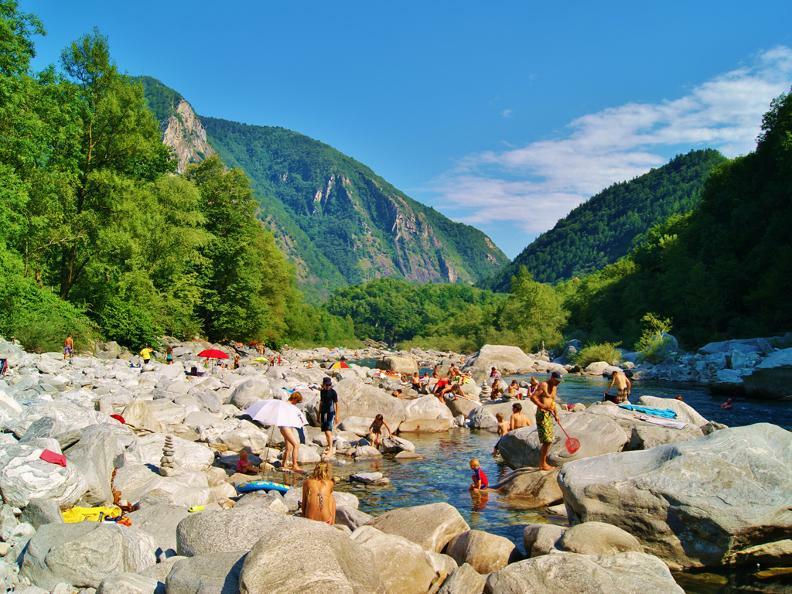 The camp spots are close to the edge of the river Maggia in a natural environment. Number of wells nearby sparkling water easily accessible are waiting for refreshments. 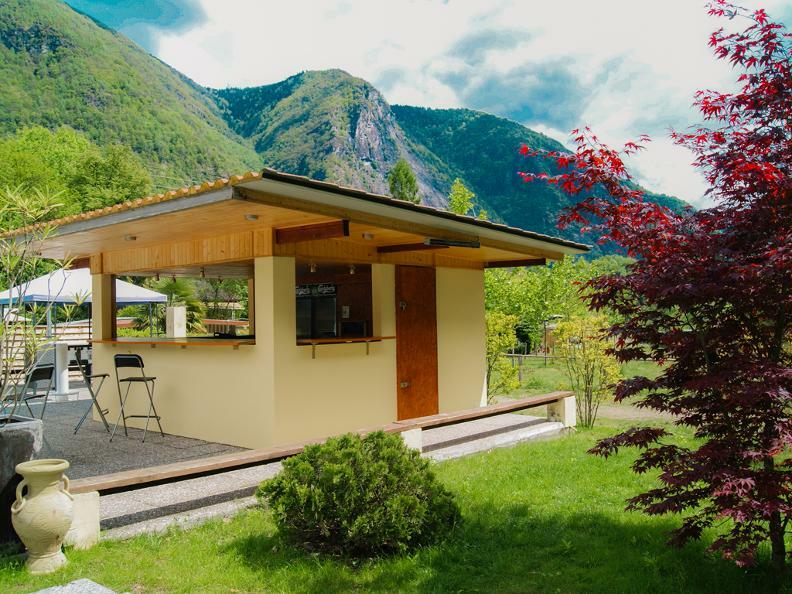 In the camp there are several facilities, including an excellent restaurant with a terrace and a small but well-stocked shop for your small shop. Every morning we have fresh bread and croissants for breakfast. 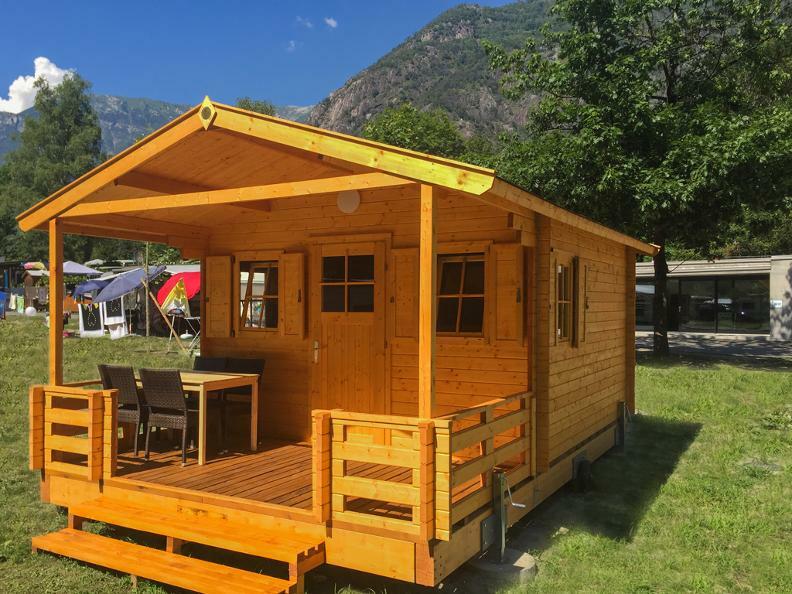 It is now possible to rent some brand new chalets. 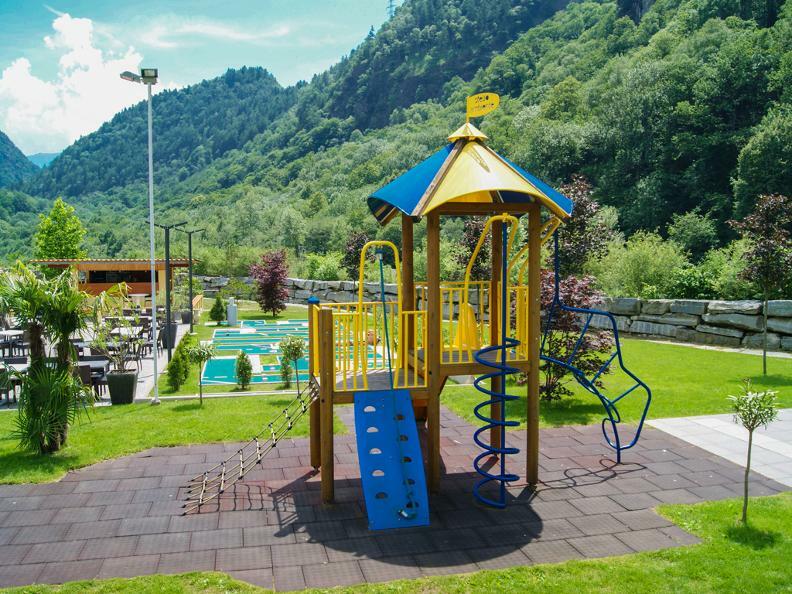 Locarno and Ascona are just 7 Km from the campsite and there is a bus service every 30 minutes. 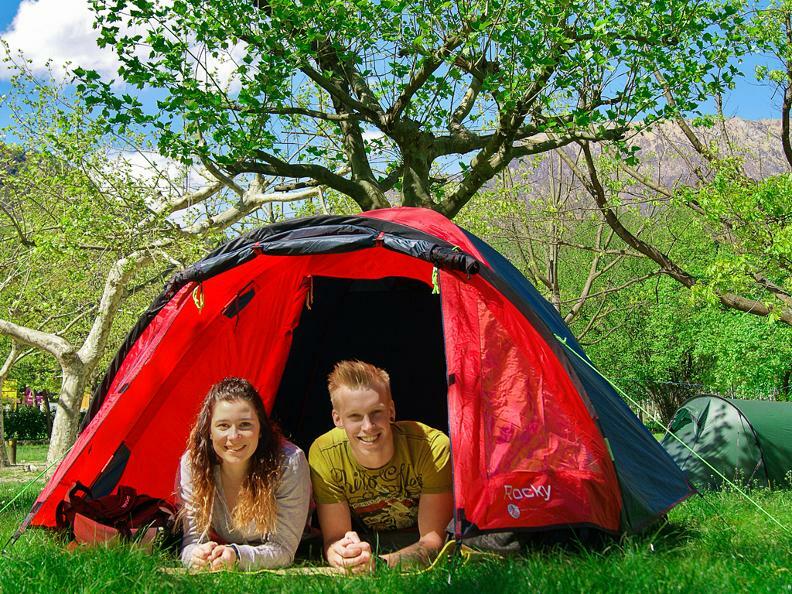 The campsite is open from 20 March until 25 October. A total of 40 hectares were distributed to 80 fixed spots and 280 spots for travelers passing through. Those who wish to use your own computer can receive a password at the reception. The service is free. 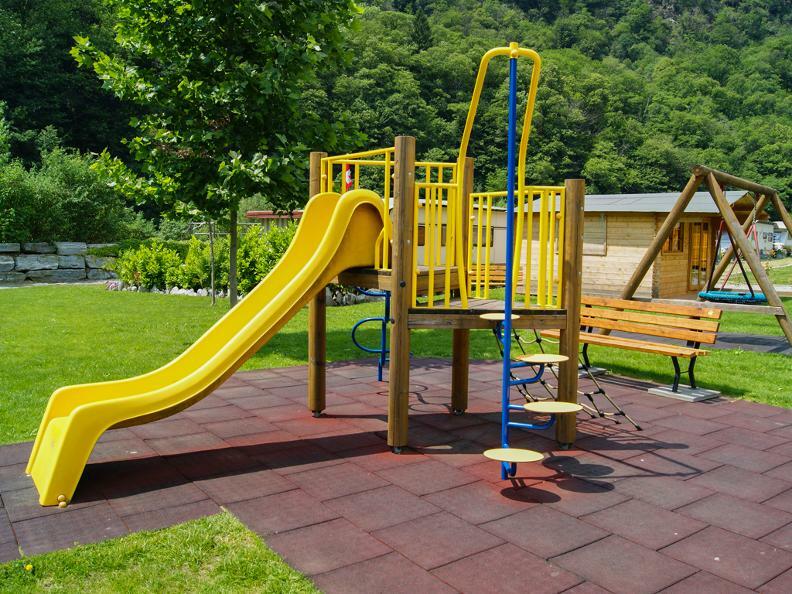 We do have a brand new playground for our children, a ping pong table, a mini pool and many activities during the summer will be able to give you moments of fun to your kids and a relaxing moment for you as parents. Our receptionist will be happy to guide you and offer leisure activities during your stay.